For those of you who might have missed it or are still on the fence here is your last chance to get in on the money back guarantee. For details click here. I will be closing the offer Monday morning. Here are just a few of my latest market calls. 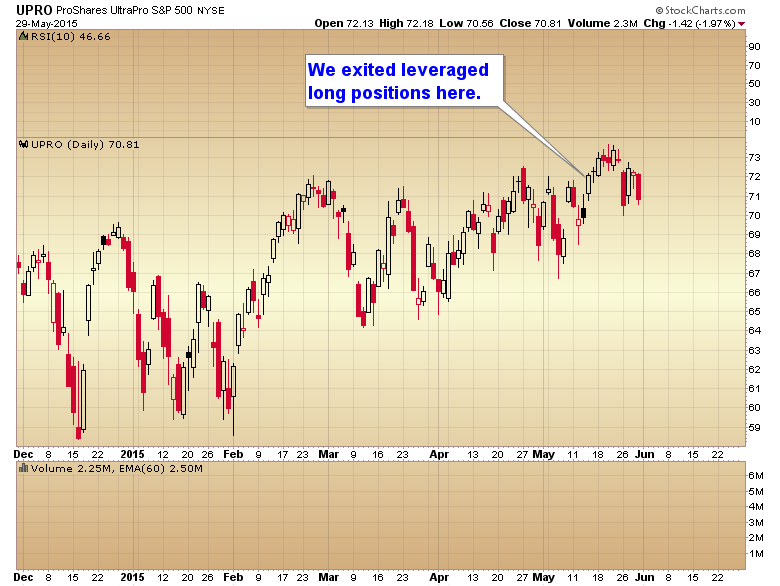 We exited leveraged long positions in the market on 5/14. 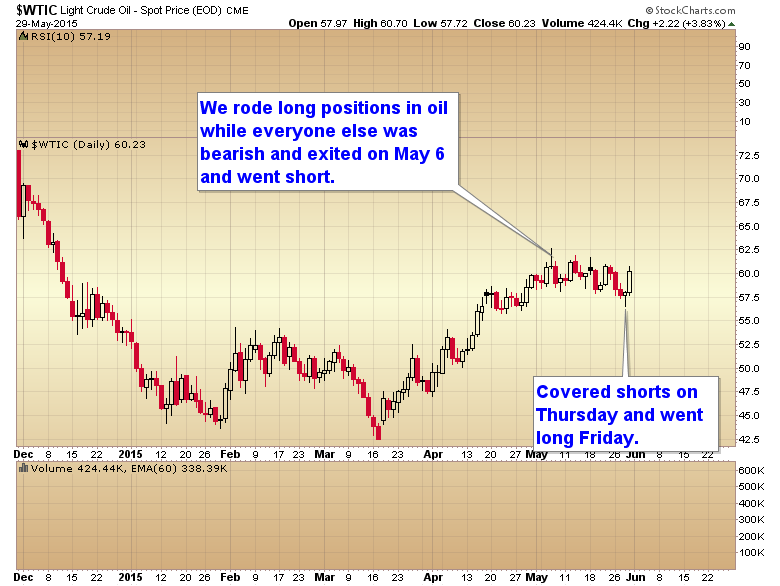 We exited positions in oil on 5/6 and went short. We exited short positions on 5/28 and went long. 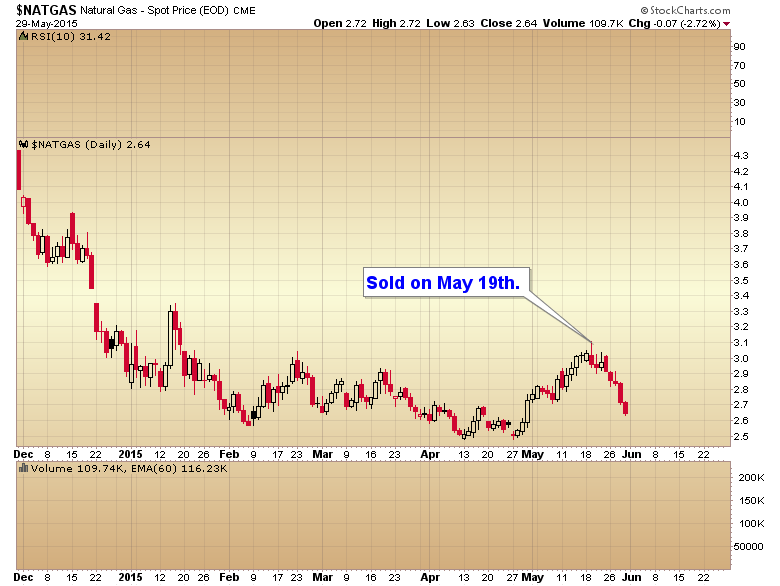 We rode long positions in nat gas until taking profits on May 19th. 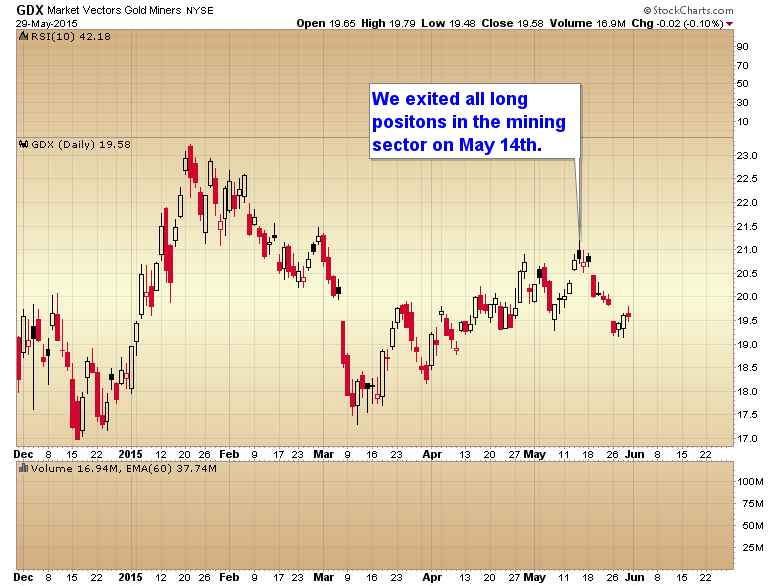 We took profits on all mining positions on May 14th and I’m currently on the sidelines. 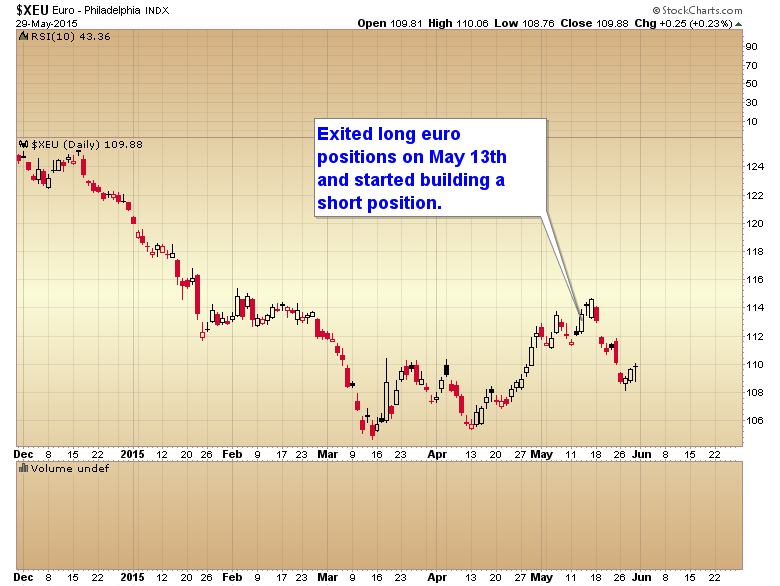 I exited long euro positions on May 13 and have started to build a short position. 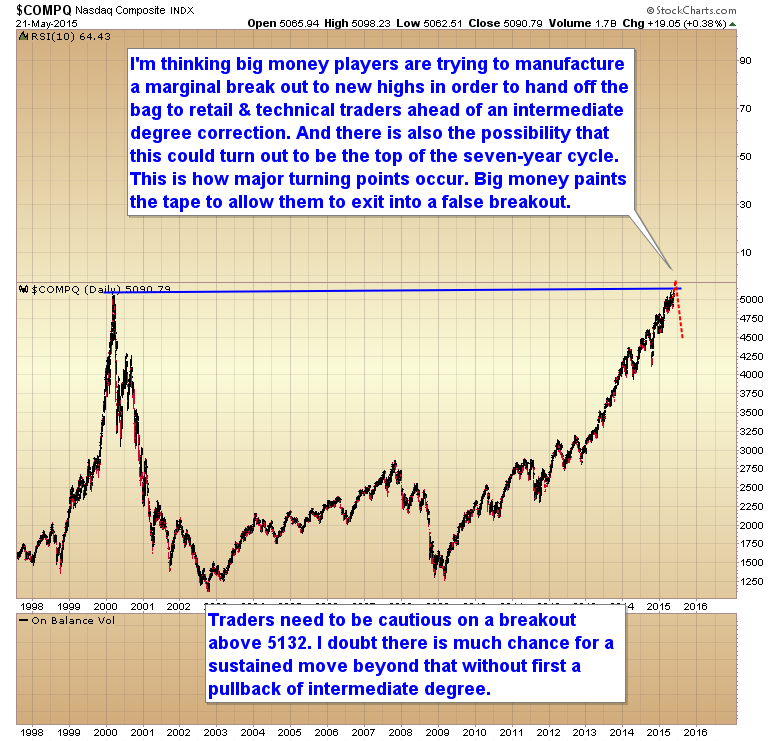 I’ve been a bit lucky lately and managed to call exact bottoms and exact tops in several sectors. Obviously I won’t be able to keep up a streak like that indefinitely but I think it does show what can be done using cycle theory and a bit of intuition. 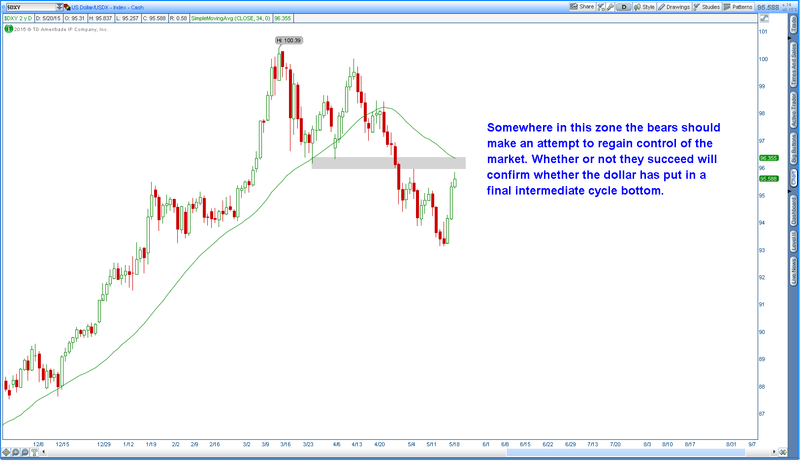 If you want to learn more about cycle theory and get these calls in real time, there’s no better opportunity than now while I’m offering everyone a money back guarantee on the current stock market trade. This entry was posted in Uncategorized on May 30, 2015 by Gary. This entry was posted in Uncategorized on May 28, 2015 by Gary. I’m going to do something today that you have never seen a newsletter writer do. I’m going to offer a special one time money back guarantee. I currently have a trade on in the SMT model portfolio that I feel is about as close to a guaranteed win as one can ever get in this business. 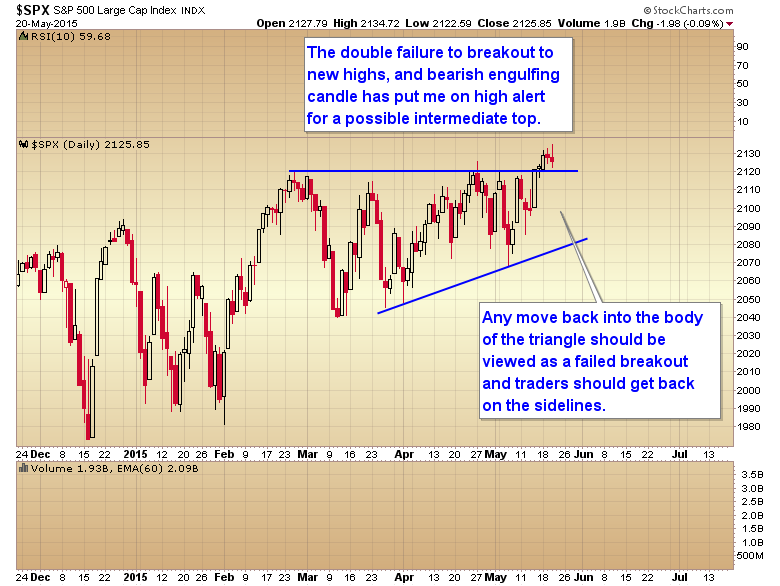 If this trade doesn’t produce at least a 50% gain between now and September I will refund your subscription fee. In the meantime you will get access to the nightly reports for the duration of the trade. If the trade does produce at least a 50% profit then you keep your susbcription active until expiration. We are going to risk 3% of our portfolio on the trade. Assuming one has $100,000 then you are going to put at risk $3000. 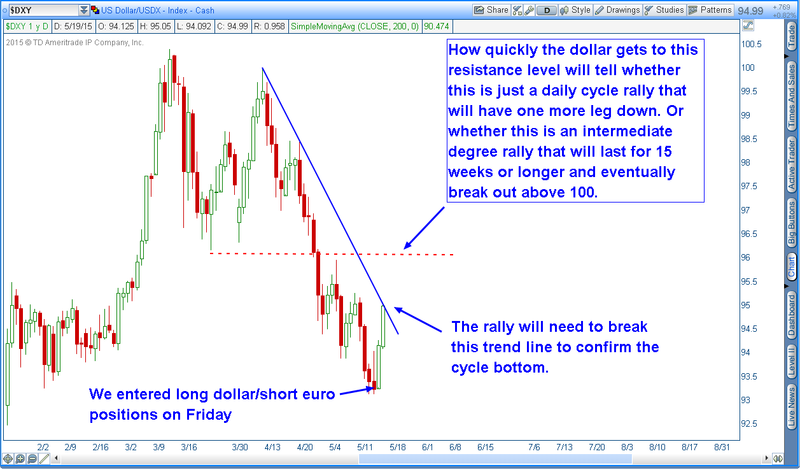 If the trade pays off 50% then you will have made $1500 for an initial $200 investment in a yearly SMT subscription. Of course this isnt just a one trade offer. The SMT is already having a pretty good year depsite most markets trading in very choppy ranges with few sectors producing trending moves. The stock portfolio is easily outpreforming the S&P with a 5.5% gain for the year. The energy portfolio is up 9.5%. 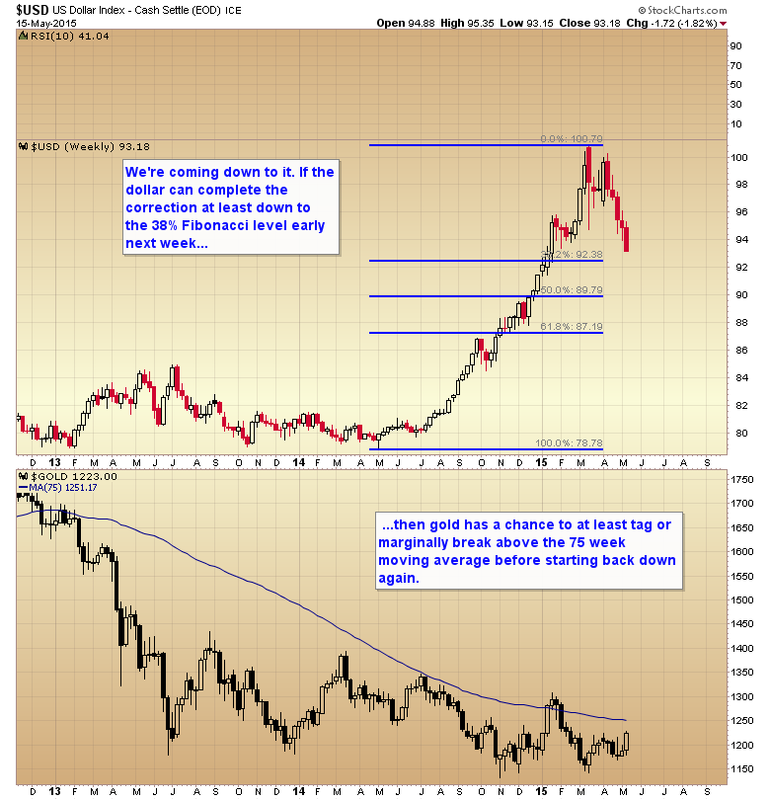 The metals portfolio is at +5%. Even the currency portfolio continues to recover and is now down just 5%. 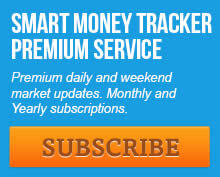 Click here to go to the SMT premium site if you are interested in the money back offer. 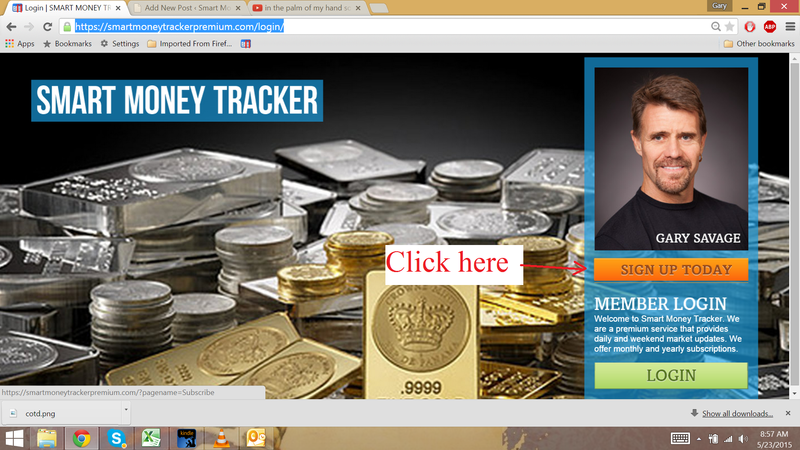 Then click on the sign up today link. 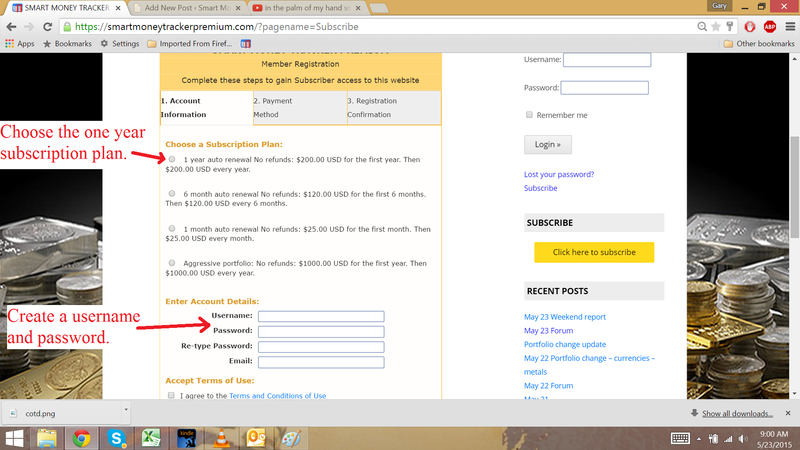 Then choose the one year subscription plan, and create a username and password. 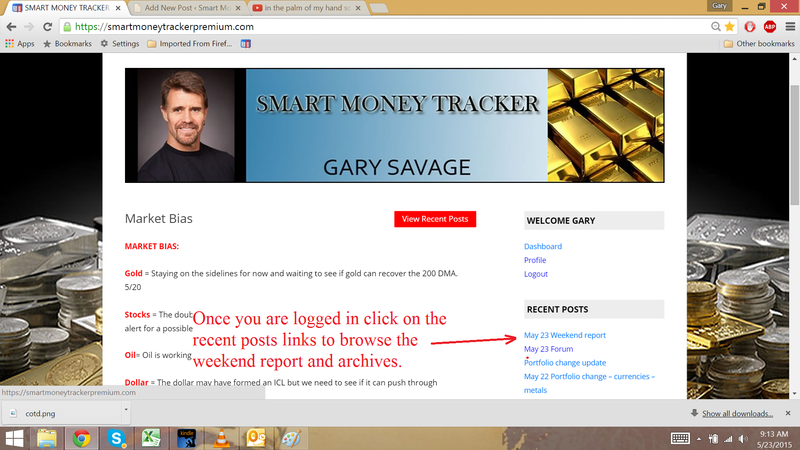 Once you complete the registration you can log in and proceed to the weekend report and archives. This entry was posted in Uncategorized on May 23, 2015 by Gary. This entry was posted in Uncategorized on May 22, 2015 by Gary. This entry was posted in Uncategorized on May 20, 2015 by Gary. This entry was posted in Uncategorized on May 19, 2015 by Gary. So far the SMT is having a pretty decent start to the year. 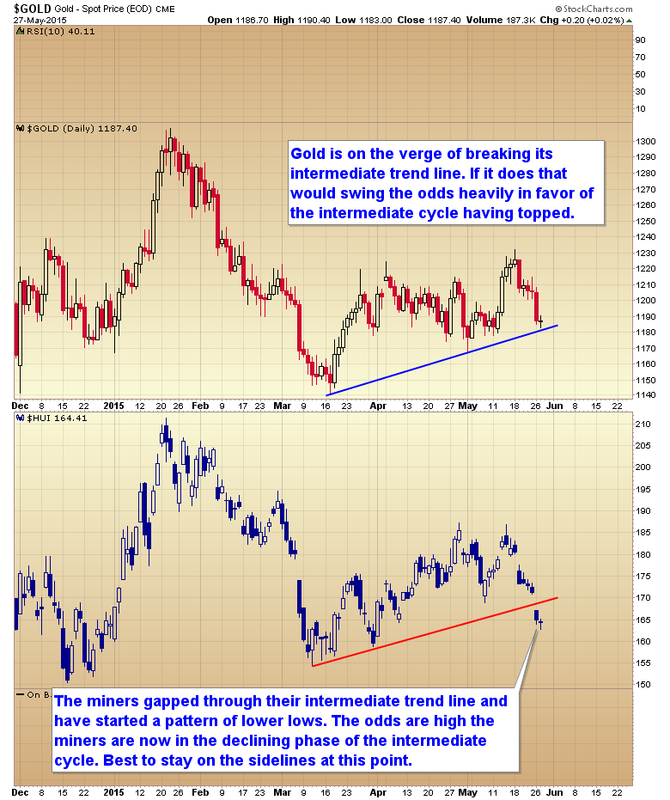 I’m being very cautious with the metals but have still managed to outperform gold for the year with a 5.2% gain. 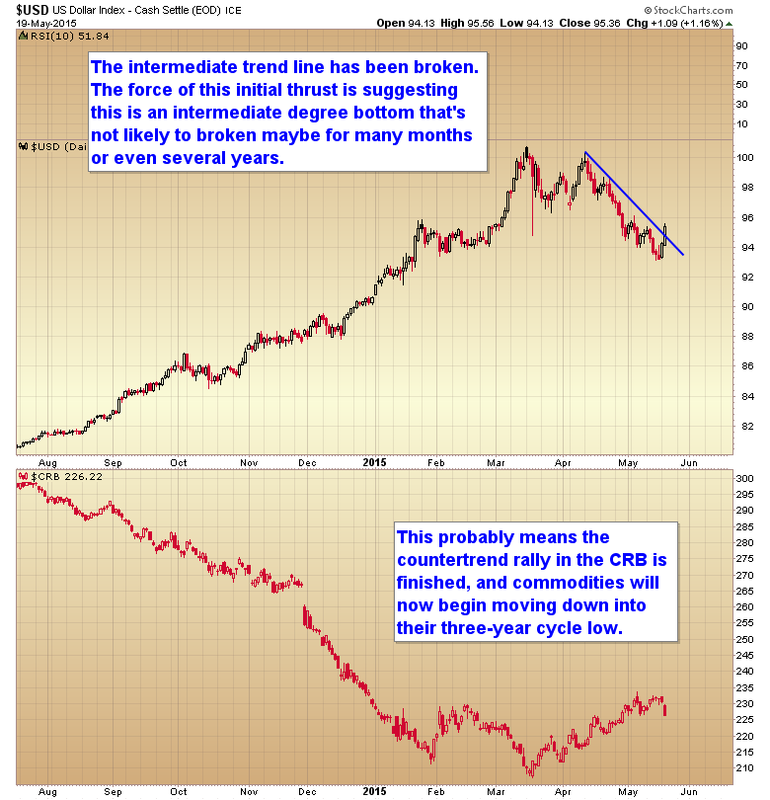 The currency portfolio is the one spot where I have struggled. It’s down 6.3% for the year. I think I can bring this one back and end the year in the green once the dollar turns back up. I’m currently getting into position for that to occur during the second half of the year. And finally the Quest portfolio is up a little over 120% so far. This entry was posted in Uncategorized on May 17, 2015 by Gary. This entry was posted in Uncategorized on May 16, 2015 by Gary.